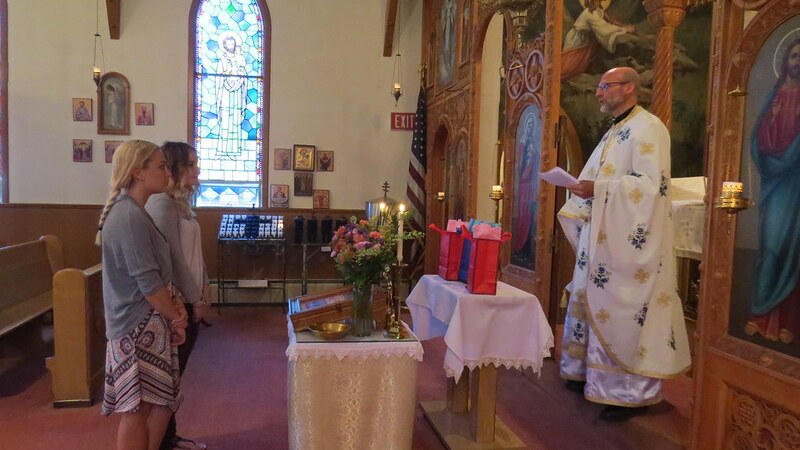 High School Graduates, Monica Lomme, Brooke Mazzabufi and Matthew Mihaly Jr. were recognized by the parish on this milestone in their lives at the end of Divine Liturgy. They were presented with a wall cross and an Orthodox Pocket Bible. The annual Father's Day breakfast followed in the Church Hall. Fr. Peter offers congratulations and words of wisdom to the graduates.